Power Service is pleased to present a new fantastic offer valid for the entire summer season 2018! The name Velar was the one that the Land Rover had chosen, at the end of the 60s, to distinguish the prototypes of that revolutionary off-road vehicle that would have been the Range Rover: the word is inspired by the Latin verb that means veil, hide (in fact, under those “forklifts” hid the new model), but many fans of the brand explain it as an acronym for “V Eight Land Rover” (Land Rover with V8 engine). Half a century later, here is the Velar of the new century: fluid lines, a reduced front overhang and a tapered rear part characterize this new Range Rover which, with its length of 480 cm, ranks halfway between the smaller Evoque and the great sport. 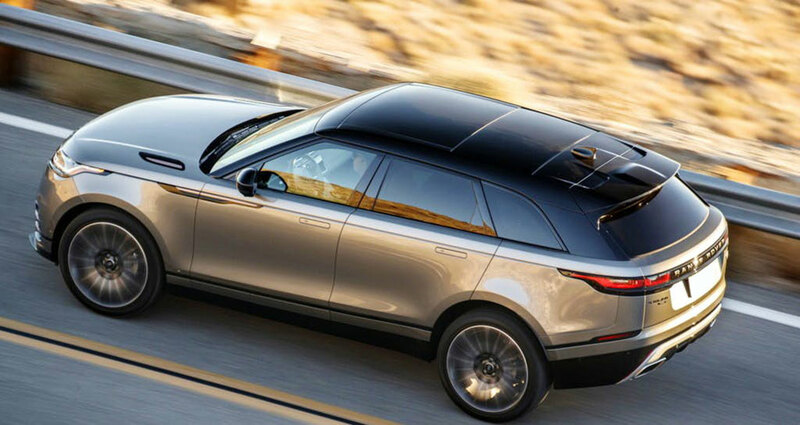 A look with a strong personality, which makes the car a middle way between a massive suv and an elegant crossover: the black roof and the smooth and “broken” sides in the lower area with a subtle contrasting color trim the car, giving it an uncommon dynamism for cars of this category.